PittServes is a University-wide initiative that engages students in meaningful service to the community on a local, national and international scale. Our focus on sustainability, education and community development allows us to increase student community service and broaden our impact as a university. 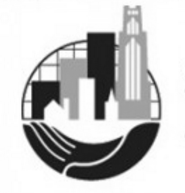 Visit the PittServes Volunteer Portal to learn more about ways to be involved in one-time or re-occurring service projects, start your own service initiatives, or engage as a community partner. Monday – Friday: 8:30 a.m. - 5 p.m.